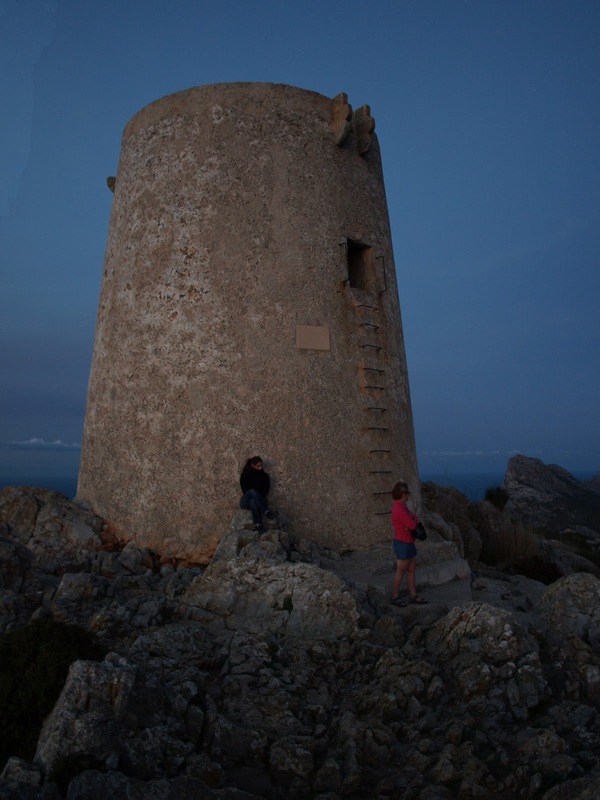 More walks - further afield: Majorca part nine - amazing Cap Formentor sunset. 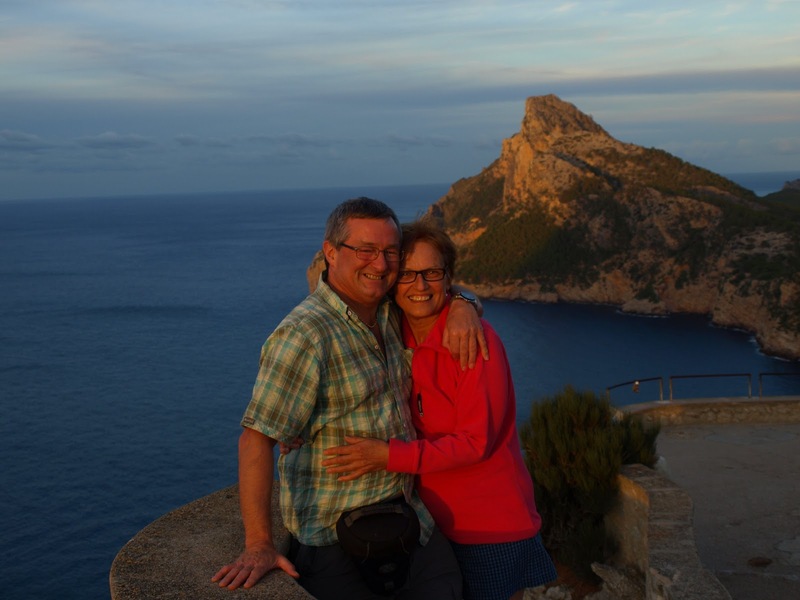 We got back to the hotel, and decided that, as we had the car, we might as well drive up to the headland called Cap Formentor, and watch the sun set. 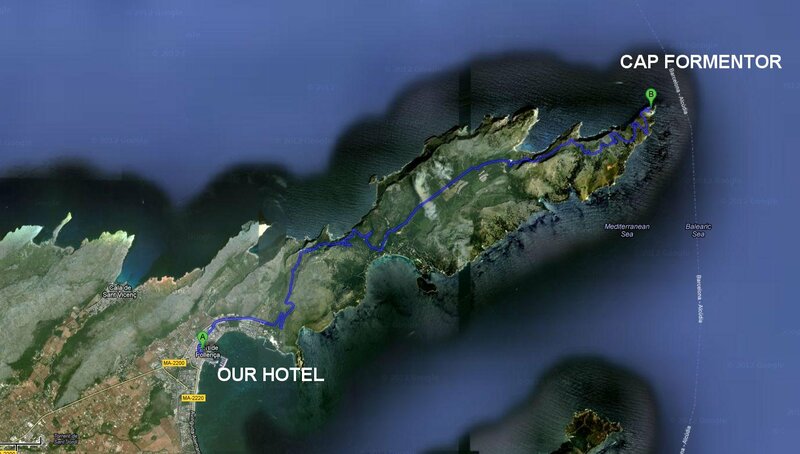 The Cap was exactly 20 kilometres from where our hotel was, so not too far. It was a beautifully, clear night, and we were hoping for great things. there was JUST enough cloud to make things interesting. We drove up the twisty road, intending to go all the way to the lighthouse at the end but when we saw the viewpoint of Col de la Credeta, before the end, we decided to stop and investigate. It was there for a good reason - it was a PERFECT position, so we walked along, taking pictures, and waited. We couldn't work out if this was a natural feature, or one placed here. We noticed this 'castleation' on the hillside opposite us. We MUST investigate this further. What a fantastic position - was it a lookout? Probably. It has a mention as a watchtower on Wikipedia. Look carefully (click on the picture to enlarge), you can see people walking along the viewpoint. It's done very sympathetically, and runs for quite a distance. At the end of it is a spectacular viewpoint that looks over the bay, far below. Some views from the viewpoint. That fence is where the lovelocks are. But now the theatre lights were dimming - the show was about to begin. 'Happy' doesn't even BEGIN to describe how we felt here. I really love those sharp, steep, harsh volcanic cliffs. No Sue, I said DON'T look down! Looking at where the sun disappeared. Looking at the other side of the sky, where the red glow descends. Alcudia bay was looking good tonight. Streaking red clouds filled the sky. And on another horizon - a bank of clouds picked out and illuminated. NOW it's getting awesome - THIS is what we came for and hoped for. Where's the big sign that says 'climb me'? Well, you know me - I just HAD to! 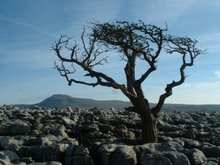 Phew - if I published every photo I thought was good - this blog post would be MASSIVE! It was just click, click, click - every shot a winner. Of course, being there was infinitely better than ANY picture, but I AM trying for you. Now the man made lights were in competition with the heavenly ones. The red was beginning to lose its power, and the electric lights of the bay were coming into their own, with a beauty all of their own too. We reluctantly made our way back to the hotel. WHAT a night, what a privilege. Some nights (and days) just implant themselves into your soul. They are the moments that make you feel alive, and you just KNOW when you have had such a moment. Tonight, we'd had such a moment. STUNNING!!!!! Never saw anything like this sky in my life! If you put your favorite sky photo on Facebook, I will share it...FB tells me that I have to have at least some certain dimensions when I tried to post a few. I would like you also to put the photo of you and Sue( close up with red shirt on Sue!) om Facebook, so I can show the kids! WELLLLLL....duh, Sue has a red shirt on all the photos! I think I need to go eat!